Halloween is fast approaching and hundreds of thousands of pumpkins will be carved over the next few days – we have two downstairs awaiting the Jack O’ Lantern treatment (this is actually one of the bits of Halloween that I love). I don’t mind the “Trick or Treat”-ing around a few neighbours and friends, but loath all the plastic tat in the shops, ridiculous quantities of sugary crap the kids collect and all the commercialised hype ….of course, like most 11 year olds, Imi loves it all. Last week I gave a kids demo at The Dartmouth Food Festival and we made some savoury muffins (baking doesn’t always have to be about lashings of sugar and they are about to gather a year’s worth of Haribos from your neighbours) This recipe is adapted from a courgette muffin recipe in my book Cool Kids Cook. I’ll attempt to track down some of the wonderful pic’s take at the festival ( I was to busy cooking and talking to take any) but at least you have the recipe to set you on your way! Grease a 12 hole muffin tray, use paper cases if you prefer, or press small squares of baking parchment into greased moulds so that the paper corners poke up above the top of each cavity (easy for pulling the muffins out once baked) . Put the oil, eggs and the yoghurt into a large bowl and mix well with a fork. Keep the flour in a separate bowl. Grate the pumpkin and cheese on the coarse side of your grater. No fingers thank you !! Tip the flour, pumpkin, cheese, sweetcorn and thyme into the bowl with the egg mixture and give it a quick stir. Spoon the mixture into the muffin moulds straightaway and sprinkle with seeds. Try using grated courgette, carrot or beetroot instead of the pumpkin. Add nuts instead of the sweetcorn. A teaspoon of finely chopped rosemary would be good here too. For super healthy muffins use self raising wholemeal flour instead of white. I’ll update with some pictures from the wonderful Dartmouth Food Festival as soon as I have some ( I’m writing this at 10pm on a Friday night- no social life! No, actually just a sauce class to teach tomorrow) The Festival really is one of the best, get it in your diary for next year – fabulous programme, some amazing chefs and writers and a stunning setting too. So there you have it – no excuse not to eat up every last bit of that pumpkin. So, the kid’s book. It’s so nerve wracking when a book finally comes out, you just have to hold your breath and hope that it’s going to be well received. I’ve been very chuffed with all the feed back so far, especially Xanthe Clay’s piece in The Telegraph (here’s the shorter online version). Imi’ s been pretty excited about it all, other than the very badly-timed tonsillitis set back on the night of the launch party (“I’m feeling so depressed, this was going to be one of the best days of my life” – good on drama), but she did manage to rally. I’ve purposely not been pushing the cooking too much just recently, there’s always that chance that things might backfire, but last weekend she decided to celebrate our newspaper appearance by cooking a three course dinner. She spent a while planning her menu (from the book of course), made a shopping list and then had a ball being independent in the supermarket with her own shopping trolley (not a quick shop, it has to be said). I was then sent out of the house for a swim and husband Pete was told that he must NOT interfere, other than having to rush around like a kitchen porter every time he was summoned to open the recycling bin. Imi’s done plenty of cooking before but this was her first “dinner party”. We kicked off with a corn chowder, had one-pot Spanish chicken to follow and finished up with elderflower jellies and chocolate dipped strawberries. She spent hours laying the table, organising music and lighting and then served up her feast with such great pride that it made this entire book writing journey feel worthwhile for her benefit alone (on the financial side of things it would be handy to sell a few books too). So here you have a simple dish, rather than a dish for children, and that’s the point of the book; uncomplicated food that we all want to eat. There are 3 variations on this recipe in the book: Spanish, Southern French and Indian. I love the idea of children learning to cook a dish until it becomes intuitive and they no longer need a recipe. 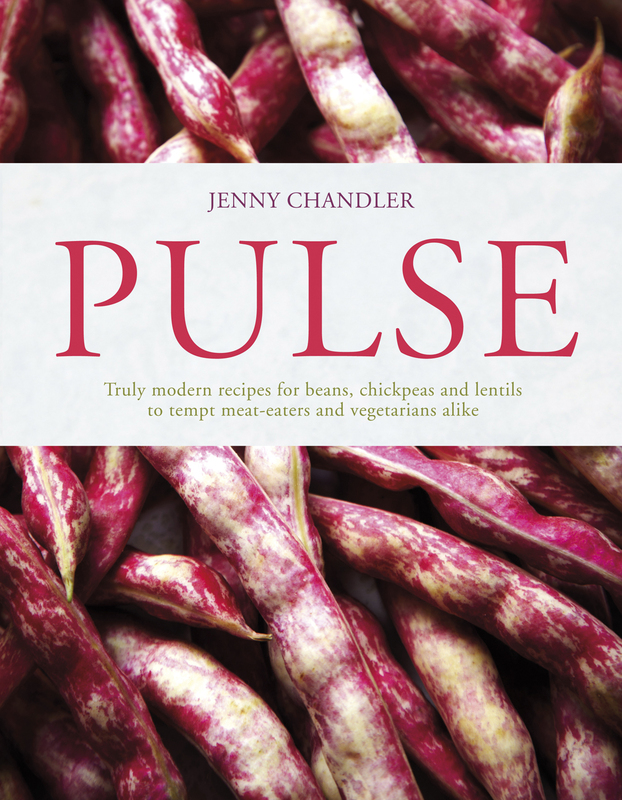 The only real difference between the recipes is the spicing and the choice of pulse to soak up the juices. Take a large oven proof dish (mine measures 25 x 30cm) and spoon in the oil and the butter. Cut the onions in half leaving the root on, peel and then slice them. Put the onions into the dish. Trim any flappy bits of skin from the chicken thighs and add these to the dish too. Now turn everything gently with your fingers in the oil and leave the thighs skin side up. Go and wash your hands and the chopping board now. Sprinkle the chicken with the salt and a good grind of black pepper and put the dish in the oven for 10 minutes. Add the rest of the ingredients and pop the dish back in the oven for 30 more minutes or until the chicken is cooked through. Make sure that the chicken is always skin side up on the top so the skin gets crispy . Taste the juices, you might need a bit more salt and pepper. Always check that the chicken is properly cooked through, turn over a thigh and cut in next to the bone, there should be no sign of blood or raw-looking flesh. TIP: Adding cooked pulses such as beans, chickpeas and lentils to a dish is a very quick and affordable way of transforming it into a satisfying meal. The recipe is accompanied by great step by step pictures and graphics in my book. 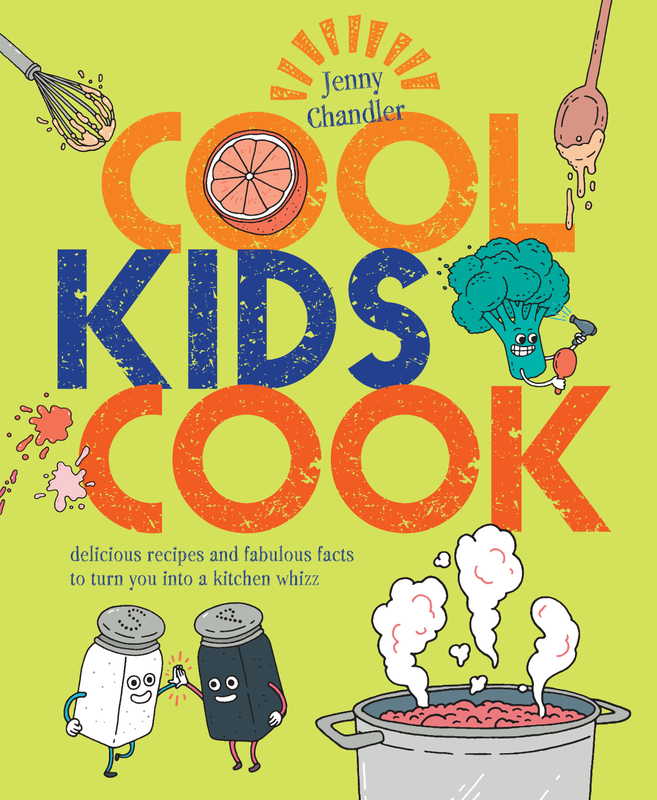 Cool Kids Cook is available from all good bookshops including, one of my all-time favourites, the wonderful Topping and Company .